We see them strewn on the sides of streets, in parks, in forest preserves and just about everywhere else — plastic bags! They’ve become more of an annoyance instead of a convenience. After last month’s statewide ban of single-use plastic bags in California, Chicago is set to join California and other major US cities Seattle and Austin in this cause in August 2015. Chain stores which are defined as a group of three or more stores that have the same owner or franchise stores of more than 10,000 square feet, will no longer be allowed to offer plastic bags. The proposal, which was supported by Mayor Rahm Emmanuel, was passed in April 2014 by a vote of 36-10. Those retailers not compliant to the new law will face fines between $300-$500. Over 1 trillion plastic bags are used every year worldwide. Consider China, a country of 1.3 billion, which consumes 3 billion plastic bags daily, according to China Trade News. The U.S. goes through 100 billion single-use plastic bags. This costs retailers about $4 billion a year. In good circumstances, high-density polyethylene will take more than 20 years to degrade. In less ideal circumstances (land fills or as general refuse), a bag will take more than 1,000 years to degrade. Of course, not everyone is for this citywide ban, citing economic reasons. Will this ban help one of the greenest cities in the nation be even greener? We still have about 10 months to see what will happen, but Chicagoans can start getting into greener habits in preparation for this ban. 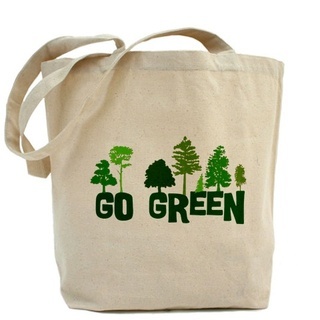 Many major chain stores offer reusable bags for sale for as low as 99 cents. There are many Web sites out there for reusable bags and, sometimes, if you’re lucky, you can get these bags for free. In my opinion, reusable bags are better than plastic and even paper too because many times these bags are made from recycled material, they hold more items and can be easily cleaned and reused.